NEW YORK -- Alec Baldwin has found a new way to mock President Donald Trump. Baldwin is teaming with author Kurt Andersen on the satirical book "You Can't Spell America Without Me: The Really Tremendous Inside Story of My Fantastic First Year as President Donald J. Trump," Penguin Press announced Wednesday. 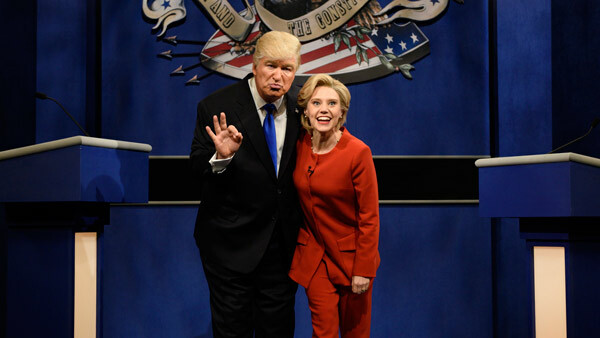 The book is scheduled to come out November 7, almost exactly a year to the day that Trump stunned the world by being elected president and ensured many more appearances by Baldwin as Trump on "Saturday Night Live." Baldwin is having a busy year as a writer. His memoir, "Nevertheless," comes out in April.